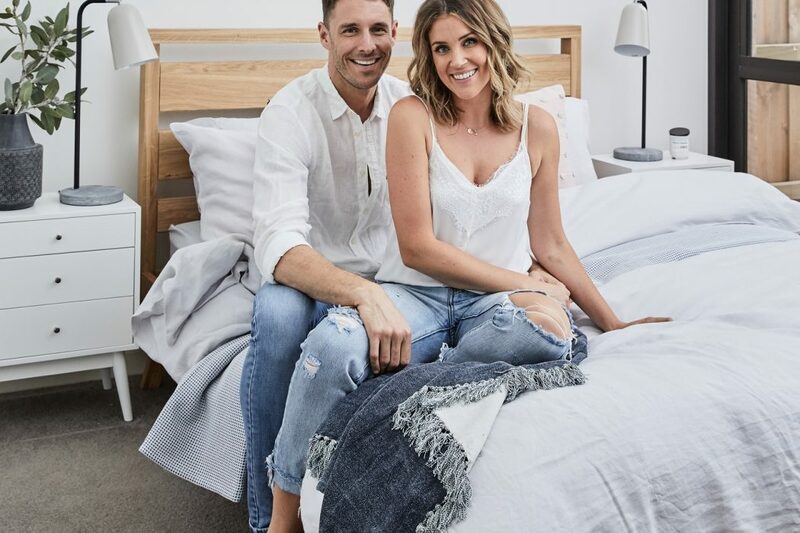 In the first episode of ‘Zanui at home with…’ we got to meet the beautiful Georgia Love and her partner, Lee Elliot. Georgia, you might remember, was Australia’s 2016 Bachelorette, and it was on the show that she and Lee fell in love. 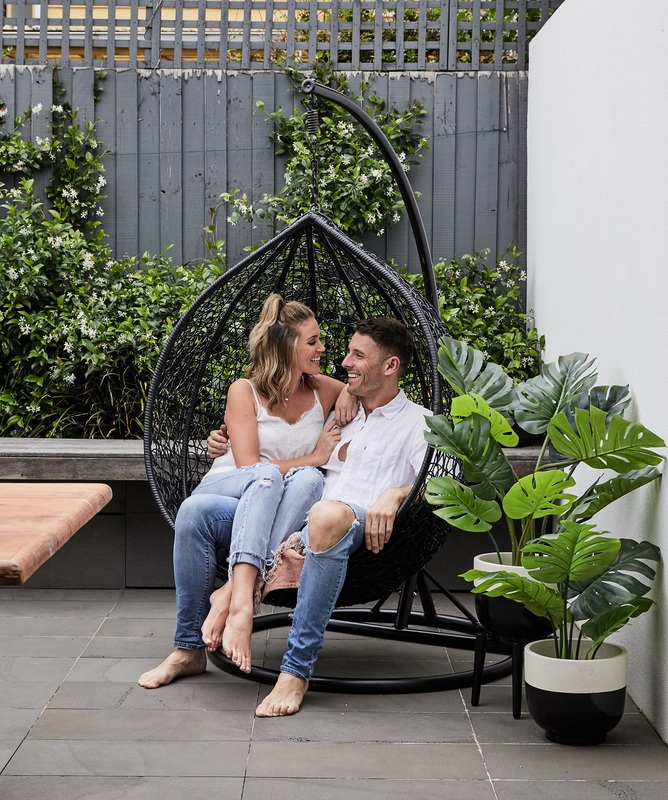 Fast-forward to 2018 and the couple (and their fabulous cat, Pawdrey Hepburn) have moved into a stunning new home together, just north of Melbourne. Together with Fiona Michelon, we completely restyled their brand new home, using products available at Zanui. If you haven’t already, you can watch the magic unfold by checking out the full makeover video below! If you’ve got your eye on any of the pieces used here, you can shop them online at Zanui! And if you want to learn more about why certain pieces were used, keep on reading. 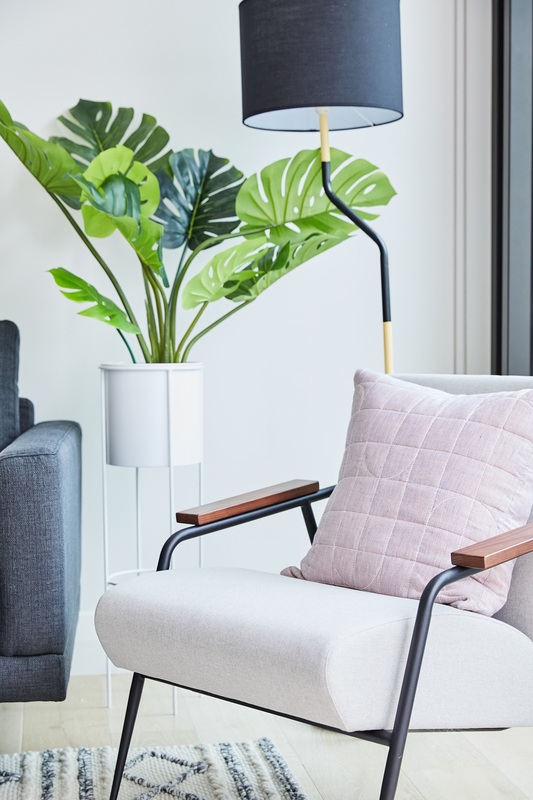 Fiona Michelon is a Sydney-based freelance interior stylist. 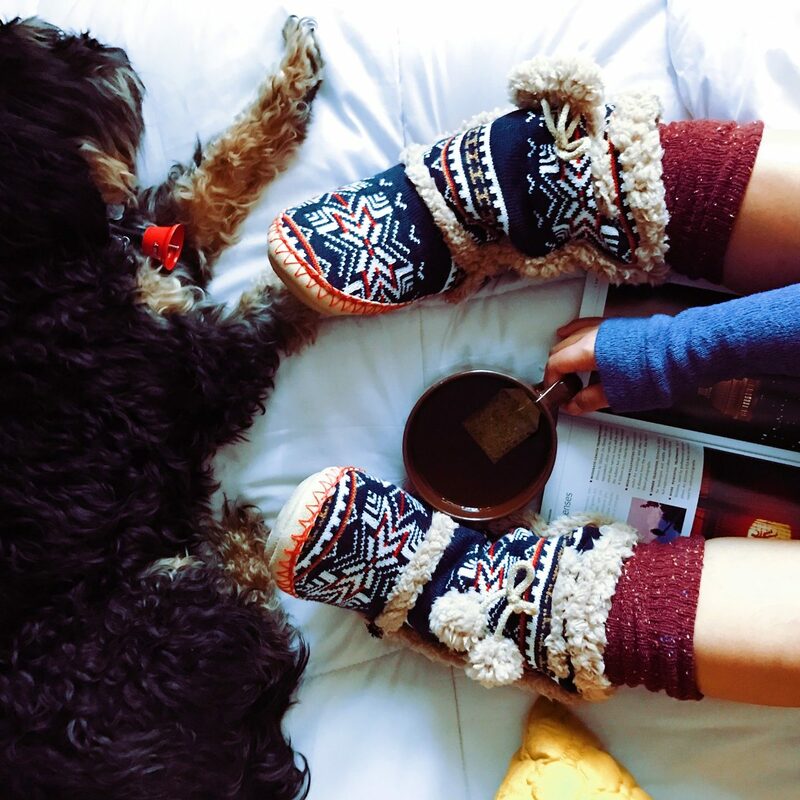 Just one look at her Instagram feed and her online portfolio shows you she has a spectacular eye for style, which she more than proved in her stunning styling of Georgia and Lee’s home. Looks like someone’s already a big fan of the sofa! 😸 Shop the living room look online at Zanui. Fiona kept to Georgia and Lee’s brief and created a light, airy, and open space. This starts with the focal point of the living room: the sofa. The deep charcoal and walnut tones of the Chloe 3 Seater Chaise Lounge brilliantly contrast the crisp, white walls and pale floors. FM: Georgia and Lee told me they spend a lot of their down time on the sofa. That’s why it was important that we chose a practical but super comfy piece for them here. This chaise is able to fit more bodies when they’re entertaining, but doesn’t feel as big and clunky as a really large sofa would. Not to mention it’s great for lounging about! Fiona recommends choosing a chaise lounge that doesn’t have a bulky arm down the side (like our Chloe chaise). This can help to open up the room and keep the space from feeling boxed-in. 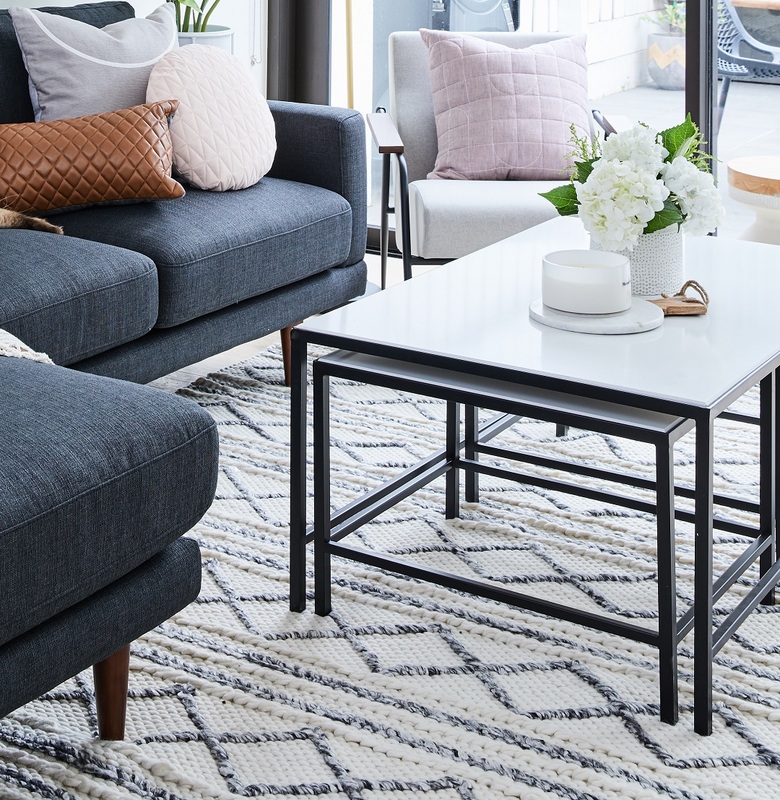 Shop the Cocktail 3-Piece Coffee Table Set from CAFE Lighting & Living and the Shaland Wool Rug from Rug Culture online at Zanui. There were also a few other clever tricks Fiona used to keep the living room feeling as spacious as possible. FM: This glass-topped coffee table also helps to keep the space feeling large. These nested coffee tables are a great space-saving trick too as they can be stacked away. You’ll notice we also chose a lot of items that have thin legs. This also helps to give the illusion of more space; sofas lifted off the ground make such a difference. The rug choice was particularly important, as it brings the whole look of the room together. The light, neutral tones of the Shaland Wool Rug from Rug Culture beautifully contrast the dark sofa. 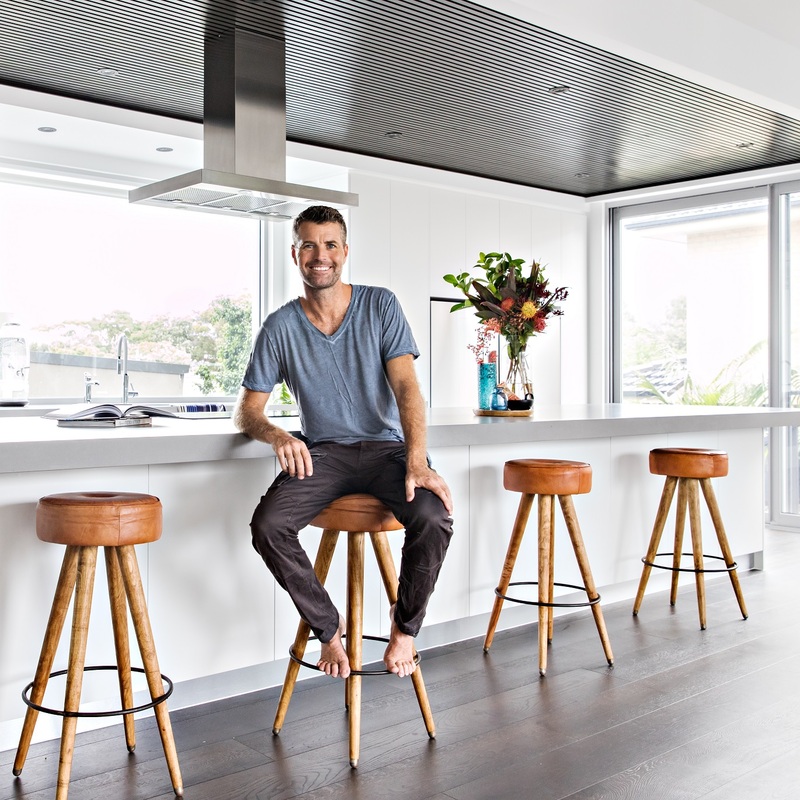 Plus, its pure wool construction brings warmth and softness to the timber floors all year round. Shop the London Armchair, Light Grey from Life Interiors online at Zanui. The team added different textures, such as brown leather and plush tufting, with a few carefully placed scatter cushions. This, coupled with subtle material details within the furniture, like the dark timber armrests on the London Armchair, helps to bring warmth to the space. FM: My fave piece is the armchair. It has a bit of a mid-century modern vibe, which I think adds some really cool character in here without overpowering the room. The team completed the look with a few pops of greenery. 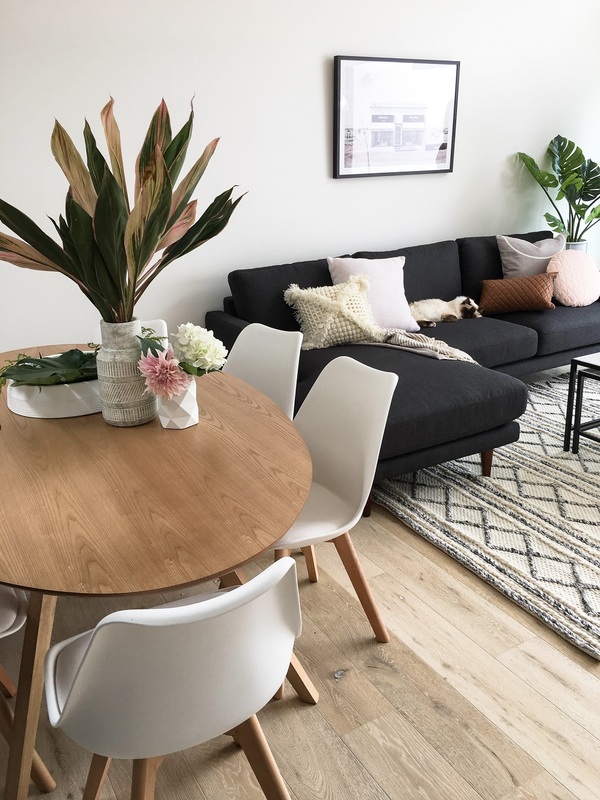 Flowers on the coffee table and a gorgeous Monstera Deliciosa plant beside the sofa keep the space feeling fresh. Shop the Carol 5-Piece Replica Charles & Ray Eames Padded Dining Set, available in white and black, from Eastern Warehouse online at Zanui. The open floor plan of Georgia and Lee’s house sees the dining area sitting adjacent to the living room. While the living room uses a lot of 90° angles (see the sofa, coffee table, and rug), the dining area features a lot of soft curves. This difference in shape helps to separate and define the different areas without needing a wall or a divider in between. FM: Georgia already had this oval dining table and chair set from Zanui. It’s such a great choice as the curved lines helps to soften and balance the whole area. It also gives the illusion of more space, and adds a nice flow to the room. 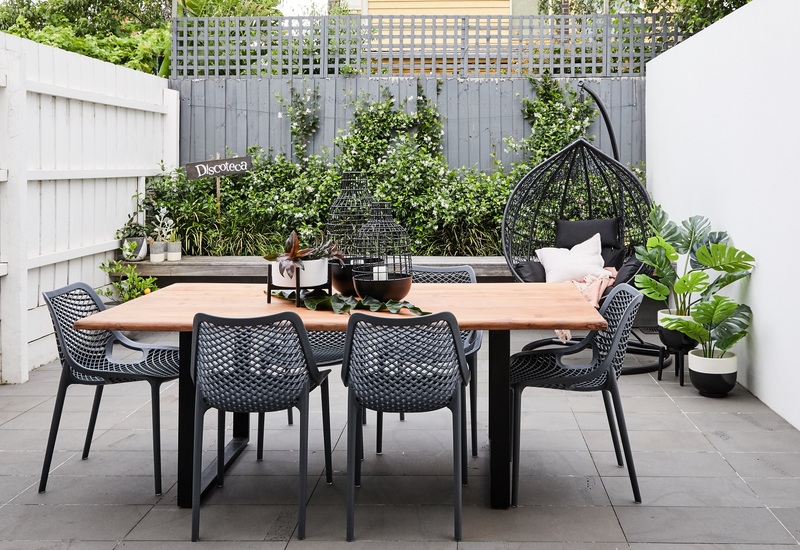 Shop the Mari Outdoor Dining Table and the Wayna Outdoor Dining Chair (Set of 4) from Nova Caeli, online now at Zanui. Just beyond the living room is the beautiful courtyard area, the ultimate space for summer barbecues and catch-ups with friends! FM: Georgia and Lee are big entertainers, so they wanted to transform this courtyard into a space where they can cater for lots of guests. The living area seems to flow out into the courtyard through the sliding glass doors, similarly to how the dining area transitions to the living room. To achieve this flow, Fiona, Georgia, and Lee used darker elements in terms of the furnishings. These tones match the dark grey tiles out in the courtyard, and coordinate with the darker furniture in the living room. FM: This way, when you’re entering into the kitchen, it gives the illusion of a really long, extended area, rather than looking really busy and cluttered. A closer look at the beautiful timber tabletop of the Mari Outdoor Dining Table from Nova Caeli. But it’s not all dark tones and monochrome. The darker elements are beautifully contrasted by loads of fresh greenery and the natural tones of the timber tabletop. FM: This dining table is also one of my faves from Zanui. I love the organic shape of the top and the bold, modern legs. 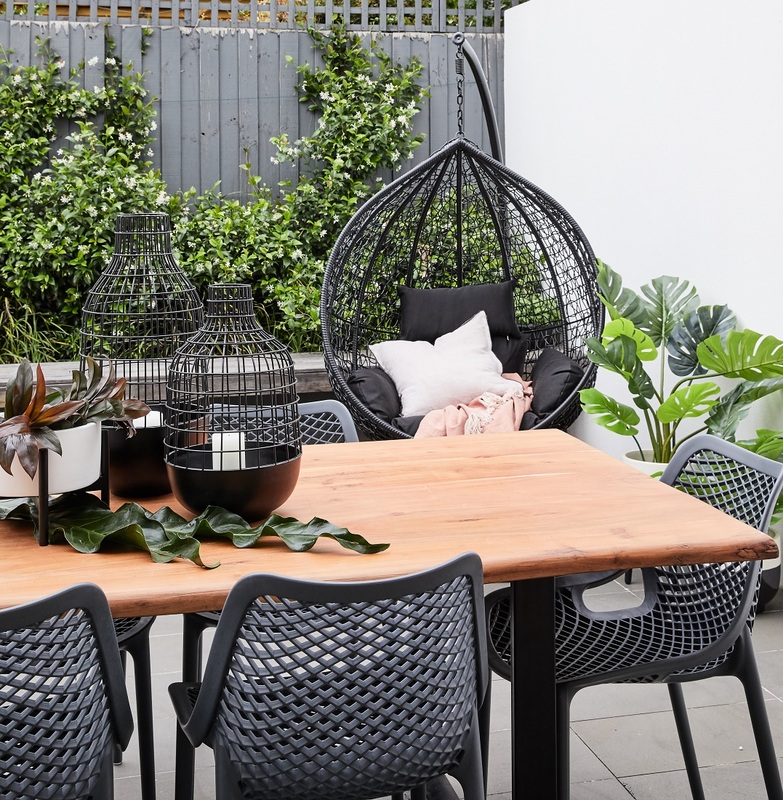 It pairs perfectly with these plastic outdoor chairs, which are super durable – great for this unpredictable Melbourne weather! As for the hanging chair, they chose this piece to create a comfy chill-out zone that’s not just for entertaining. It’s perfect for curling up with a good book and a glass of wine, or for a cheeky cuddle! Shop the Aerona Hanging Chair, Black Frame from Nova Caeli online at Zanui. 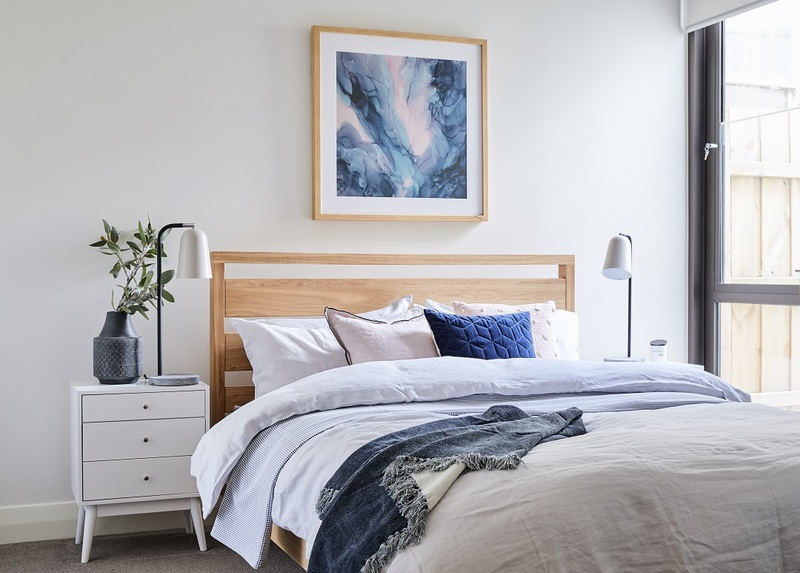 They gave the bedroom a full makeover because, as Georgia said, “it was feeling too much like a boy’s room!” Keeping with the light and airy vibe, the bedroom features mostly neutral tones and natural textures, such as timber. Shop this dreamy bedroom look online at Zanui. FM: It’s a very modern and white room, so the beautiful timber bed frame really adds some much-needed softness to the space. The bed is bookended by a pair of white bedside tables. These keep the colour palette crisp and fresh, and also give extra storage space to the room. The statement lamps provide a little ambient lighting in the evenings, and a few decorative accents, such as the Kaia Vase from Zanui HOME and a Maison Blanche deluxe candle, complete the vignette. As for the bedding, Georgia really had her eye on the French Linen Quilt Cover Set from Bambury, in this beautiful, soft silver hue. FM: I LOVE it. 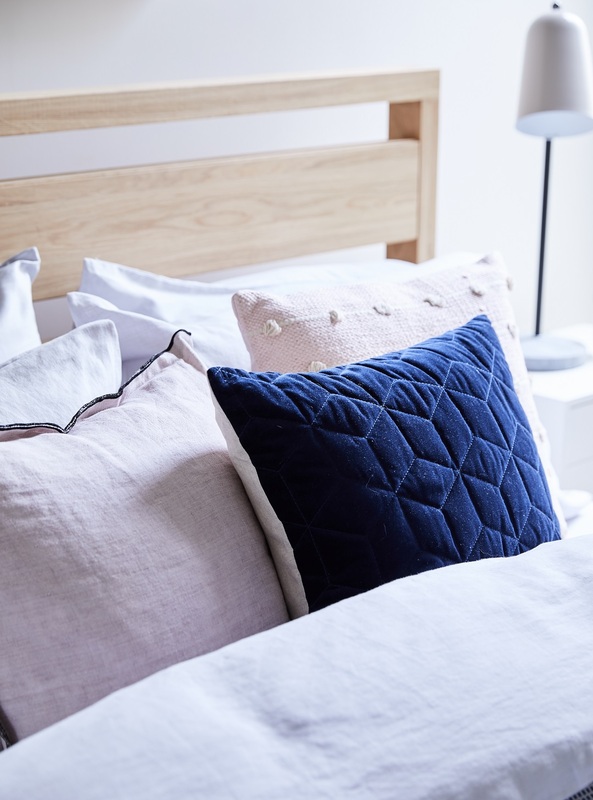 You can’t go wrong with quality linen, really. It adds such a gorgeous softness and a sense of luxury to the space. It’s all about the details! 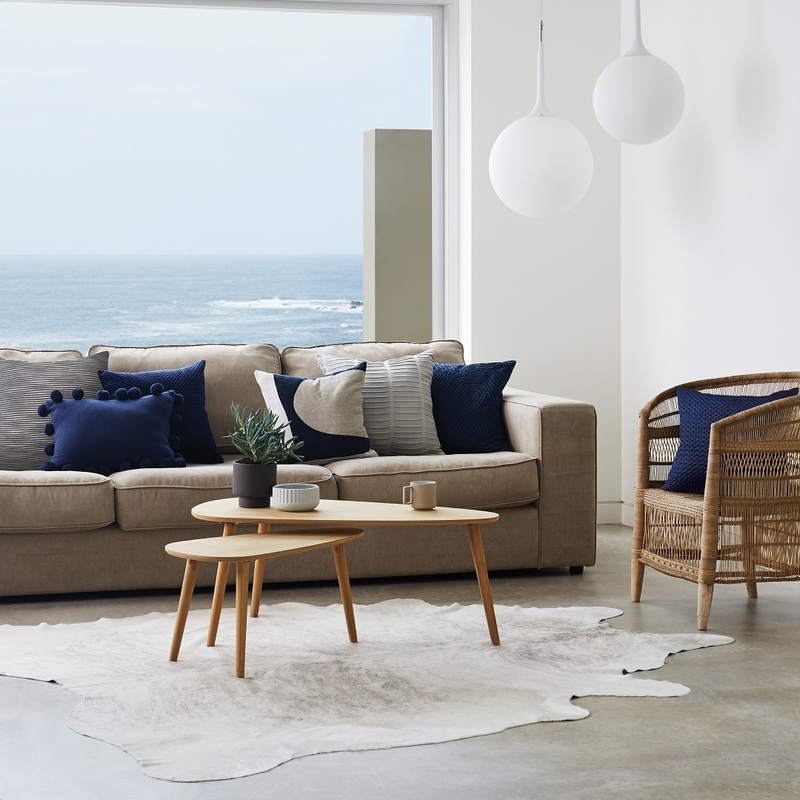 Shop the Kew Cushion (Navy) from Linen House, the Mala Cushion (Blush) from L&M Home, and the Mandalay Cushion (Blush) from Sea Tribe online now at Zanui. To brighten up the largely neutral palette, Fiona added just a few clever hints of colour. FM: We styled the bed with pops of soft blush and navy, which ties in with the artwork. It’s a colour combo that’s calming, feminine and on-trend. With the hints of grey and timber, it also doesn’t look overly girly (which is great news for Lee). Love what you’ve seen here? Stay tuned for more episodes of Zanui At Home With… coming over the coming months! 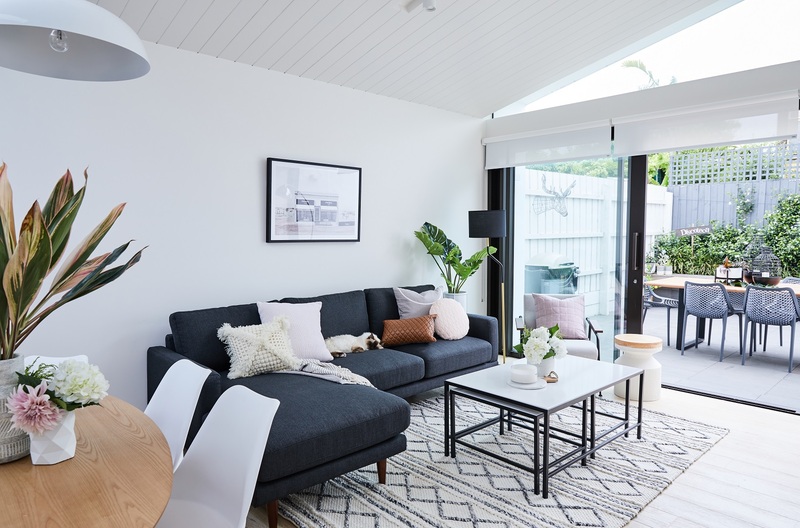 In the meantime, why not check out our interview with Three Birds Renovations or Catherine Heraghty of The Stables for more interior design inspiration!